Betrue Sporting Goods is equipped with a comprehensive corporate structure and talents cultivation system. We have an elite team whose team members are passionate, dedicated, practical and courageous. Based on customer demand, Betrue Sporting Goods is devoted to creating a convenient, high-quality, and professional service model. Betrue Sporting Goods sticks to modern civilization development. We regard 'honesty, responsibility, environmental protection, development' as our enterprise spirit and we adhere to our development strategy which is to greatly focus on excellence and innovation. We strive to improve our enterprise competitiveness and develop modern business. Betrue Sporting Goods has set up sales outlets in many cities in China. Besides, the sales range is expanding based on efficient and timely distribution. oem sportswear is a truly cost-effective product. It is processed in strict accordance with relevant industry standards and is up to the national quality control standards. The quality is guaranteed and the price is really favorable.Our oem sportswear are well tailored to provide a wearing sense of no restraint. 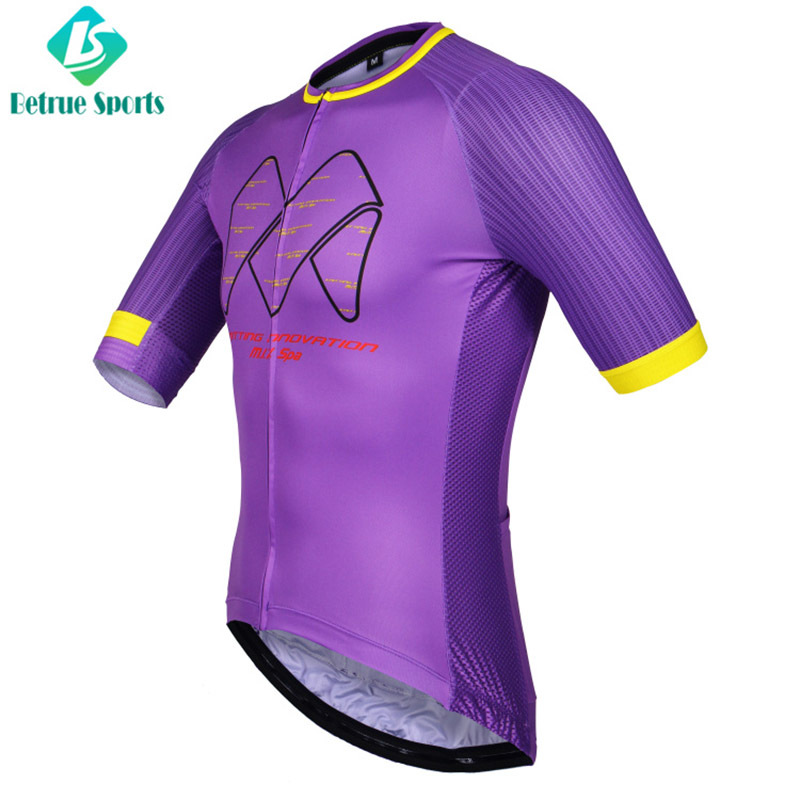 Besides, the perfect waistline design effectively optimizes waist proportion to show good shape of consumer.Compared with similar products on the market, the oem sportswear of Betrue Sporting Goods has the following advantages. ◪ The man cycling jersey adapt Italian light weight fabric, Ventilated mesh on sides. Improved your comfort while riding. The gripper on hem ensure the cloth won’t bounce when you stoop. The color we use eggplant purple, very dazzling in the crowed. 3 rear pockets+ extra waterproof pocket. Reflective tape on the back, Reflective zipper for the waterproof pocket. 1. Guangzhou Betrue Sporting Goods Co.,Ltd. is a technology-intensive enterprise specializing in the production and sales of mens cycling jersey. 2. 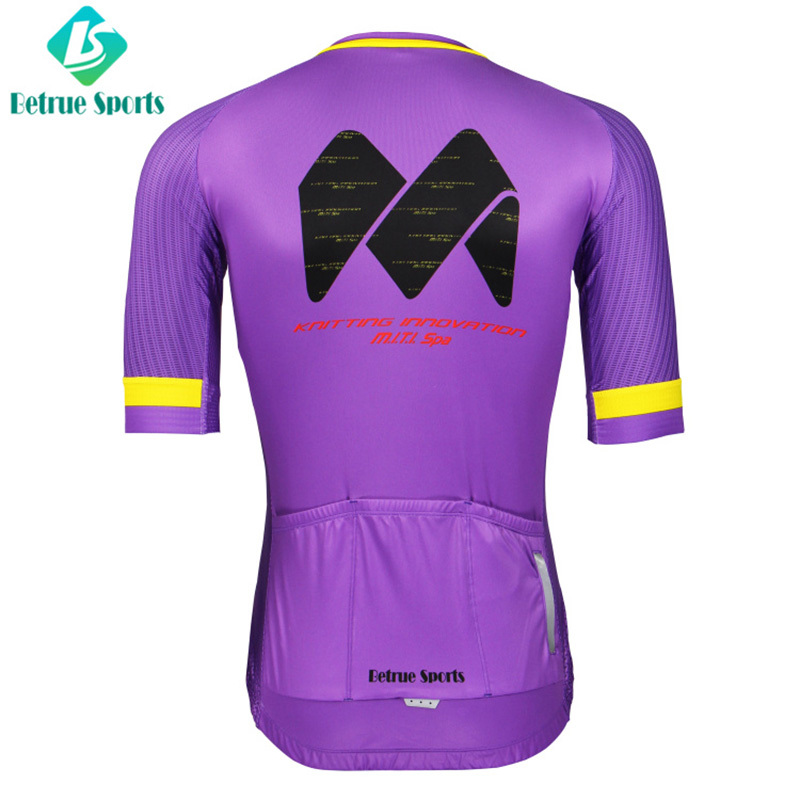 As the model of mtb jersey industry, Betrue Cycling Wear is able to offer customers the best products with high performance.